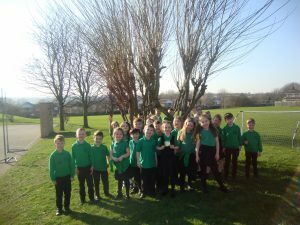 Here you will find useful information in our termly newsletters and have the opportunity to see some of the fantastic work our children have produced. 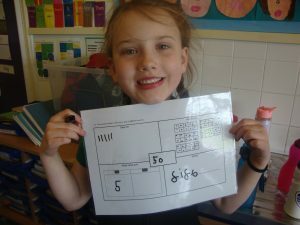 Year 1 children have been representing numbers from 1-50 in different ways this week. 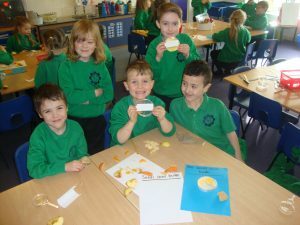 This half term in Science Key Stage One children are learning all about materials. 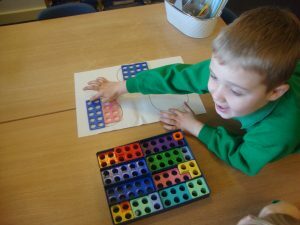 They will be revisiting naming everyday materials as well as considering their suitability for a range of uses. 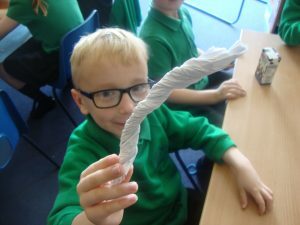 This week we have carried out a fair test by manipulating materials and recording whether they can bent, stretched, squashed or twisted. 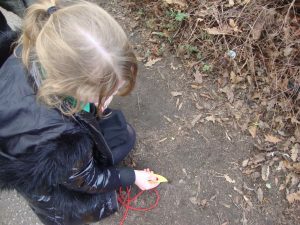 We found that some materials can not be changed. 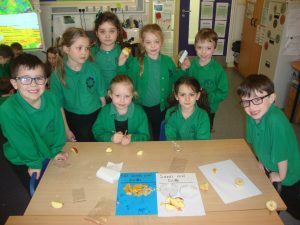 To mark the end of our topic ‘Where did all the trees go?’ KS1 children spent the day preparing for our medieval banquet in which parents and carers were invited to. 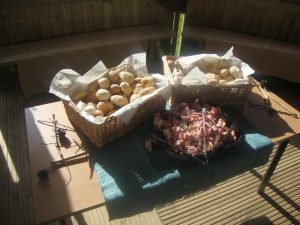 We made homemade lemonade, fresh bread, ‘gruel’ with fresh herbs and served up meats and berries were very popular and accessible for hunters and gatherers at the time. 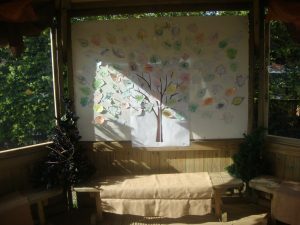 We decorated our wonderful summer house with our amazing writing, artwork and our thoughtful ‘promise’ leaves that explained how we vowed to save our planet from further deforestation and change. 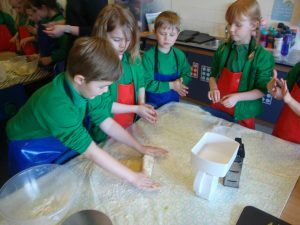 Cooking skills: Squeezing a lemon, kneading bread mix/dough, snipping herbs, chopping vegetables, crushing garlic. 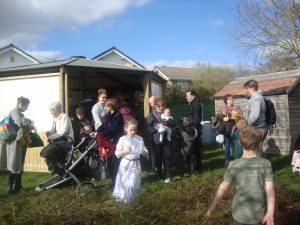 Thank you all parents and carers for you support with these events! 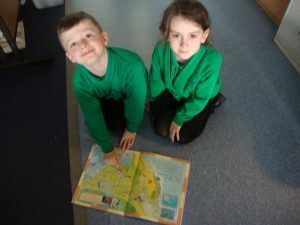 Key Stage one reading champions enjoyed a trip to Rothwell Library where they enjoyed sharing books with friends and represented the school while displaying our REACH values. 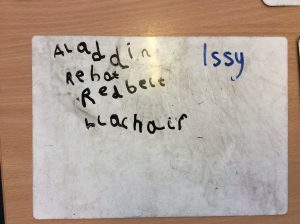 This week we have been practising our class poem ‘The Seed that Grew the Tree’. 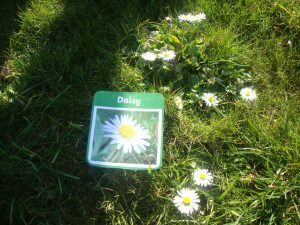 Here are a few videos of us in our groups performing the poem in class. 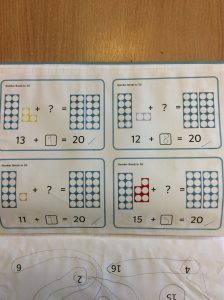 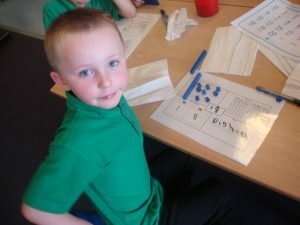 In Maths, Year 1 children have been working with numbers bonds to 20. 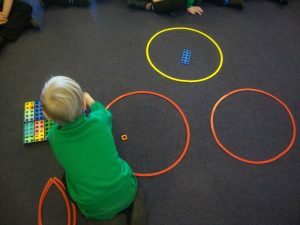 We used a range of equipment including Base 10, numicon and number lines to represent these numbers. 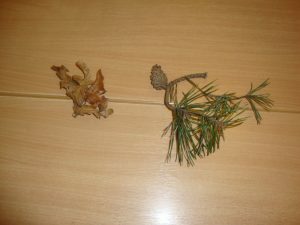 KS1 children have been working scientifically and observing plants and trees in Science this week. 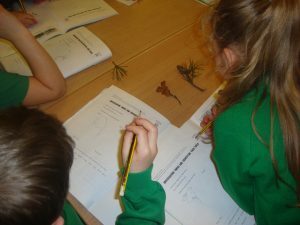 They have been naming and identifying common flowering plants and trees as well as recording these in detailed diagrams – labelling and describing their basic structure. 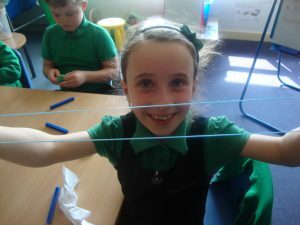 We love exploring in Science! 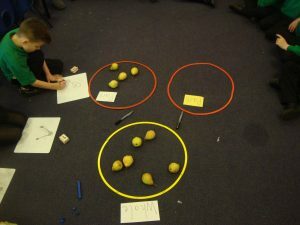 Here are some pictures of the learning we have been doing in KS1 in Maths, Literacy, Science and Topic this term. 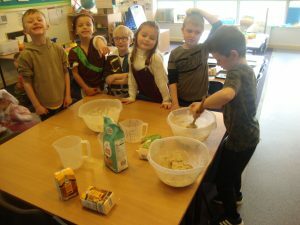 Last Friday morning, Class 2 KS had an amazing time with Mr Deveney from ‘Classroom Kitchen’ (who some of you may recognise). 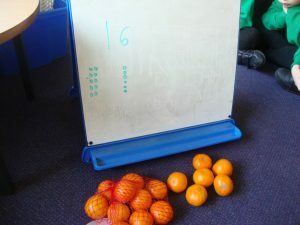 They made super healthy pizzas with half and half bases, mozzarella, lots of fruits and vegetables …… delicious! 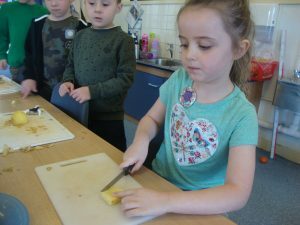 The children had lots of opportunities to learn and practice the skills in the cooking and ‘Healthy Schools’ curriculum. 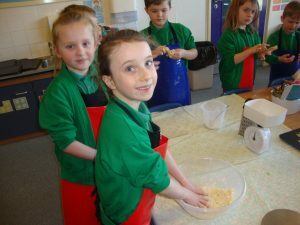 During the afternoon Mr Deveney worked with Year 5 children who also leaned how to cook delicious and healthy meals. 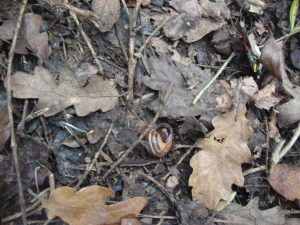 A fantastic and tasty opportunity! 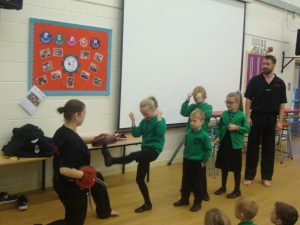 Today we were lucky enough to be joined in our assembly by Steve and Alex from the British Military Martial Arts Academy. 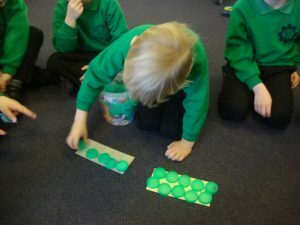 They demonstrated lots of amazing techniques and even invited some of the children to have a go! 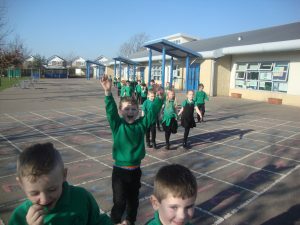 The children were all very excited! 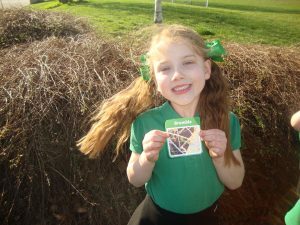 Your child should have brought a leaflet home with information about the two local sessions in Oulton and Woodlesford. 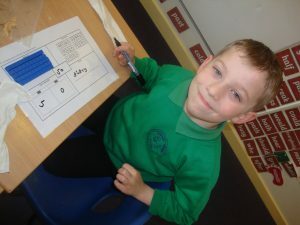 We have been very busy since the start of the year doing lots of learning. 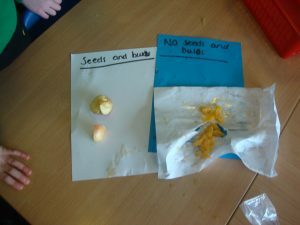 For anti-bullying week we made a recipe for a good friend and mixed our ingredients into a bowl. 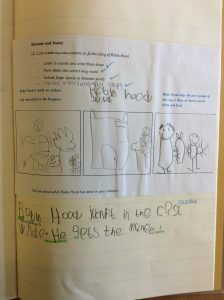 We’ve been listening to lots of fairy tales with big bad wolves in and have done lots of lovely writing. 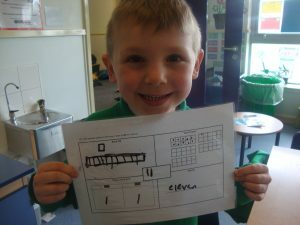 In Maths we have been working hard to develop our place value knowledge! 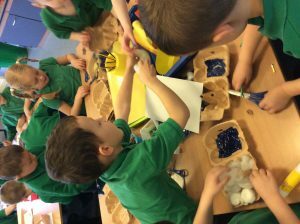 We have enjoyed making houses for the 3 Little Pigs for our topic ‘Who’s afraid of the Big bad Wolf?’. 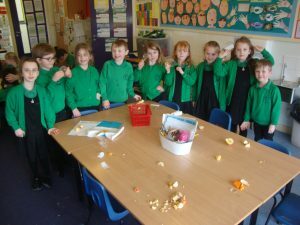 Here are some pictures from Fairtrade week! 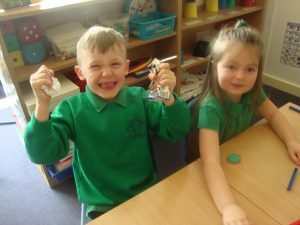 The children loved being involved in the café, as you can see from their happy faces. 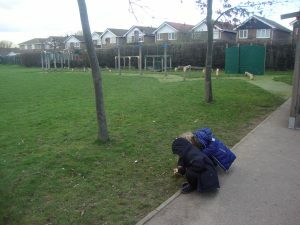 We had Fairtrade banana porridge and toast, including some Fairtrade tea and coffee. 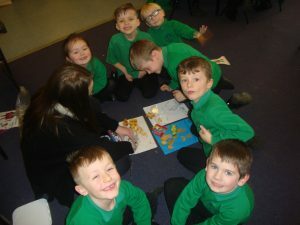 KS1 made menus, artwork and posters for the event. 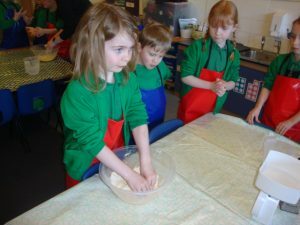 They enjoyed helping to make, serve and eat the food. 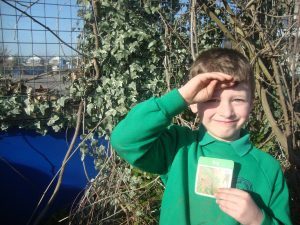 We love knowing that the money we spend on Fairtrade goes to a great cause! 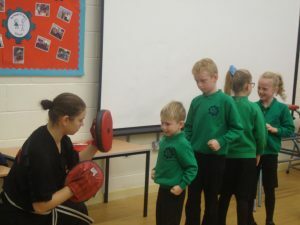 A tennis coach visited key stage one for our PE session. 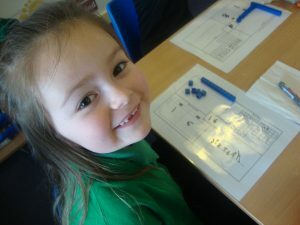 The children thoroughly enjoyed the session and learned new skills. 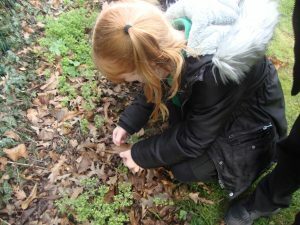 Sam Safaris offers the chance for schools to get up close with a variety of rare & exotic insects, mammals, reptiles, molluscs & amphibians from around the world. 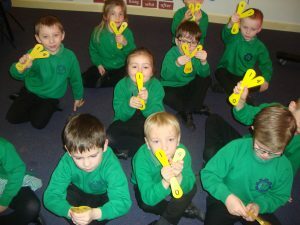 Year 1/2 were extremely lucky to take part in this activity and thoroughly enjoyed this. 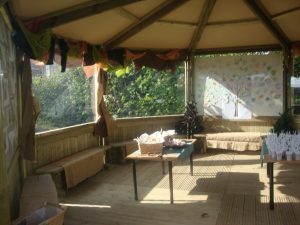 We would like to say a big thank you to Sam’s Safari. 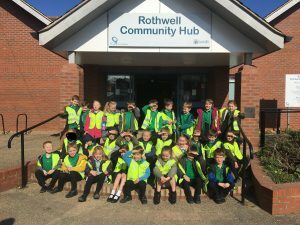 Year 2 took part in a dodge ball competition at the Scout hut, Rothwell and came joint 6th. 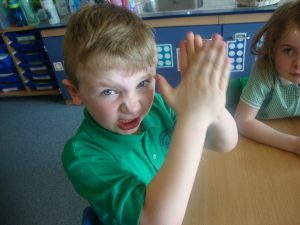 Well done Year 2 for excellent teamwork today! 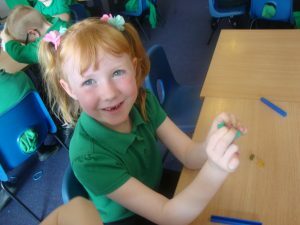 In Science, Year 1/2 learned about the different animal groups. 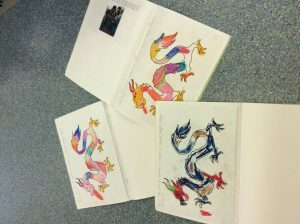 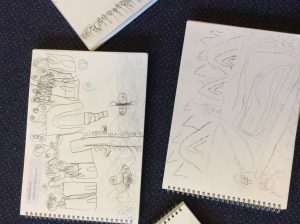 Some fantastic art work was created. 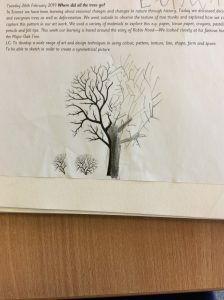 As part of their topic, year 2 studied shape in the form of trees. 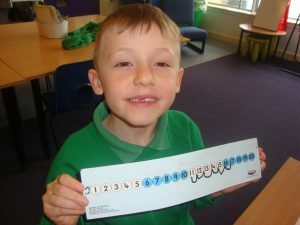 They expanded the picture using different media. 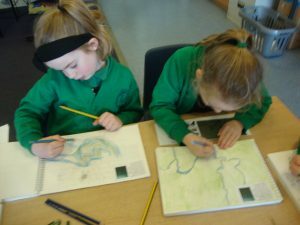 Year 2 created posters showing how to stay safe.